Pavement signs are very effective for high street advertising; they can help you attract new customers or promote a special offer you are running. Pavement signs are one of the oldest methods of advertising around. There is no simpler or more effective method of making yourself known outdoors. 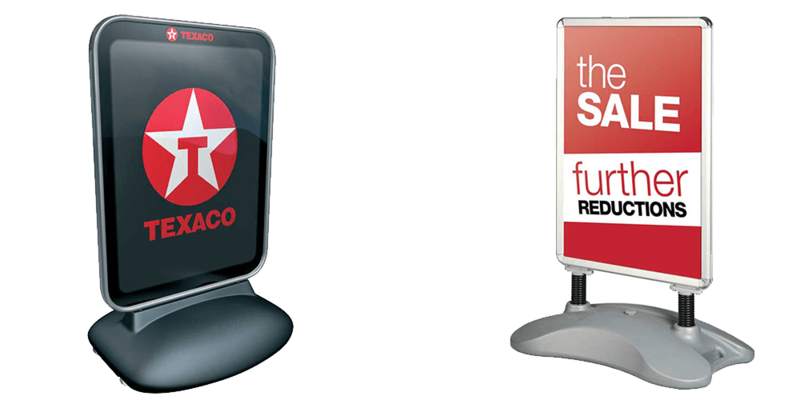 Outdoor signage is a tried and tested method to increase footfall in your establishment. Furthermore, these signs are great for running special offers, thus keeping your business relevant at all times of the year. Display Wizard have produced some fantastic signs during our years of production, so we can ensure that you end up with only the highest-quality display solution for your specific needs. There are a wide range of different types of pavement signage available. Most signs are available with printed graphics, but changeable systems can come supplied with posters if you would like to update your message regularly. 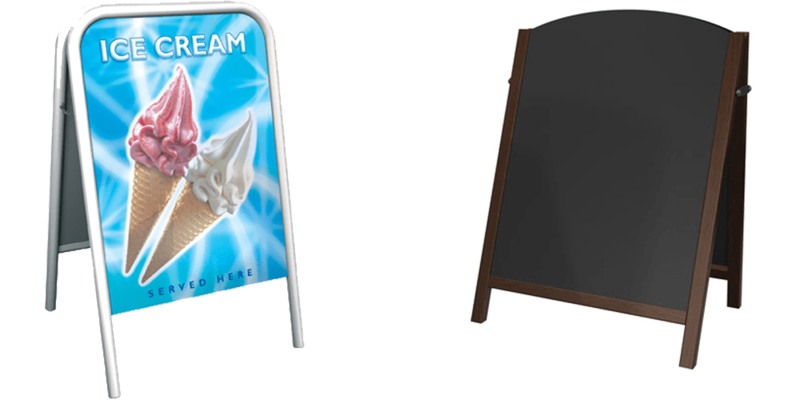 Our most popular range of pavement signs are A-board pavement signs, which are sturdy, traditional stands available as chalkboards or with printed posters inside. We also have a number of swing pavement signs, which are signs with a swinging display area giving you less wind resistance. 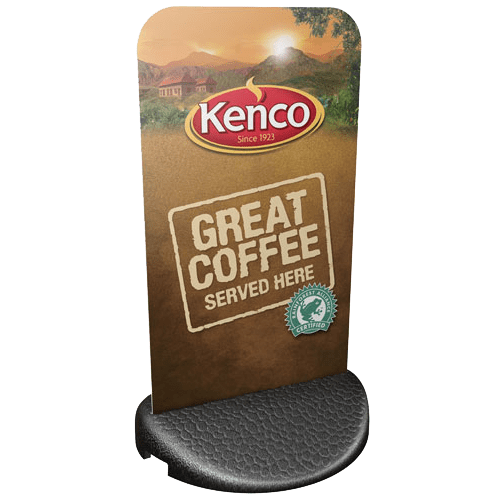 Our forecourt pavement signs have been designed with extra weight and wind resistance to give you more presence at a garage or vehicle forecourt. Our flexi pavement signs is made up of a flexible printed panel wedged in a solid base. Do you want to increase your brand’s exposure even more? 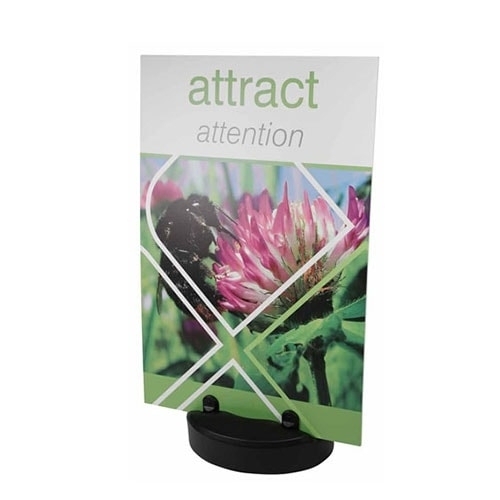 Look into our range of promotional flags for a striking display. 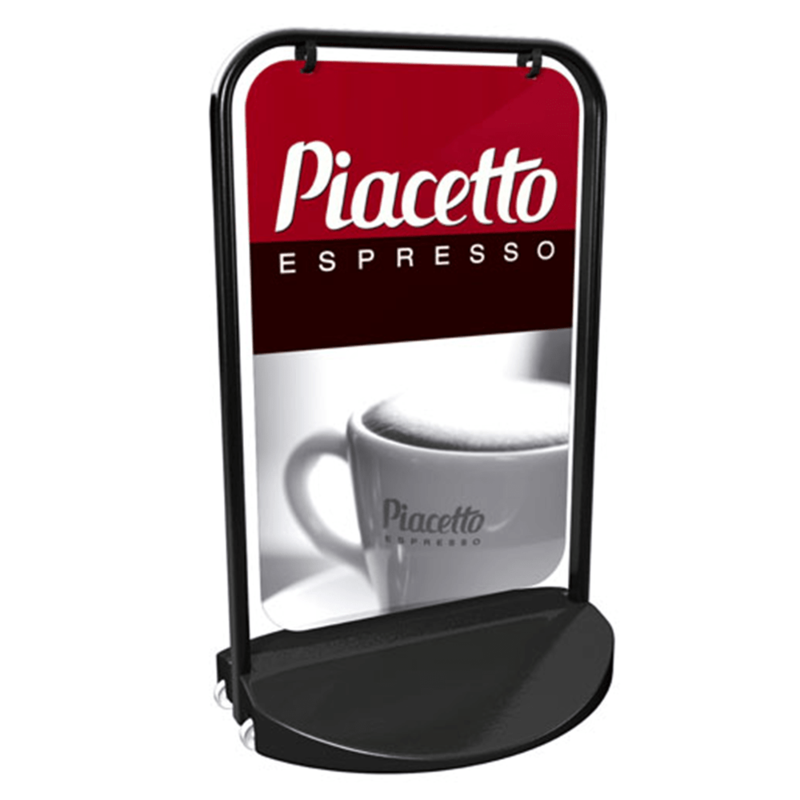 Need indoor displays to accompany your pavement sign? 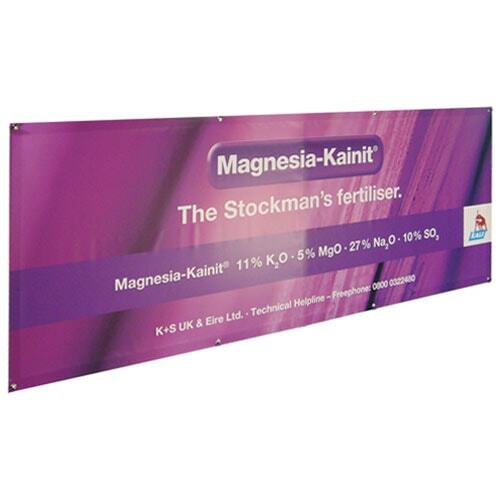 We have a wide range of indoor roller banners to keep customers interested in your organisation. If you are considering one of the products mentioned above but need more information on which type is best for you, contact our team of display and exhibition solution experts. We’d love to hear from you!